PEARL MITCHELL ILLUSTRATION. : C O N S E Q U E N C E S @ nexus. C O N S E Q U E N C E S @ nexus. 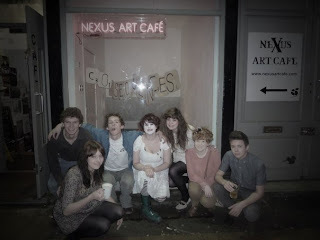 Last night was the opening night of our 'Consequences' exhibition at Nexus art cafe, in the northern quarter, Manchester. I was exhibiting my B R U I S E project, photo's and handmade book.